It should be clear that editing should be a part of your SEO content writing process, but we see so much content out there that was obviously published without this crucial step. 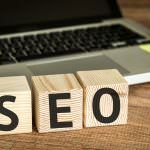 Publishing SEO content that has spelling and grammar errors or just plain doesn’t make sense to the reader is a quick way to lose credibility. Remember, SEO content published on behalf of a business is a lot different than a personal social media post or a personal blog post. The level of severity can depend on the target audience. If you’re targeting educated professionals, these errors are a red flag. Always read SEO content over a few times and it’s a good idea to get some other eyes on it, too. Ask co-workers to read through it. It’s very easy to miss a mistake when you know what you were trying to say. You don’t want to invest a ton of time into a blog post, only to have its content be ignored because of glaring spelling errors. 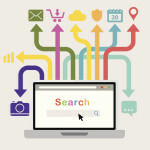 For the search engine crawlers, yes, it’s the text content that matters most. But think about your human visitors; the ones who are actually digesting the information and deciding whether to share the content or link to it. A web page with images is a lot more engaging than a page of strictly text. It helps to break up the text and is especially beneficial for visual learners. Images make a big difference in social media, too. Social media sites will pull the image from a page of web content and display it along with the link. If there isn’t an image, the social media post is quite boring, and doesn’t stand out from all of the other content that is flooding the news feed. For informational pieces, it’s a good idea to find supporting references from respected websites to enhance the content. In addition to making the content more likely to be trusted, linked to, and shared, it’s also a way to align your website with a trusted resource by linking to that resource. Inbound links carry the most weight for SEO purposes, but don’t think that the search engines aren’t paying attention to outbound links, too. It might not seem like a whole lot, but taking the time to execute these 3 steps can make a difference. In addition to following these steps for all new content, it’s a smart idea to go back and re-visit “old” content with these steps in mind and make improvements.